Eat, sleep and catch em all! Pokemon Go had a time when it was one of the cultural phenomenons of the 21st century and, while it does not quite pull the same weight that it did, it is an immensely popular past time amongst so many people still! 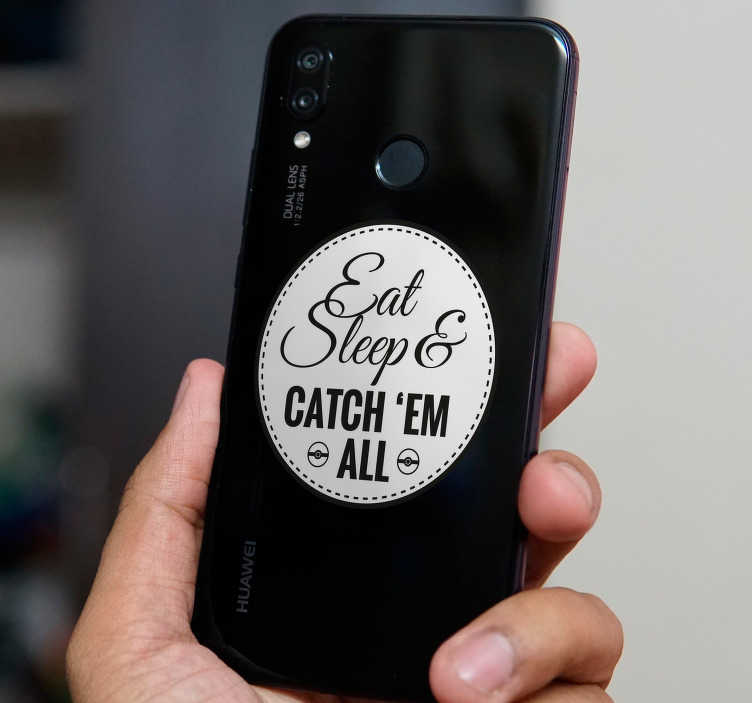 That is why this Huawei sticker is just so suitable for so many people! Eat, sleep and catch them all! Ideal phone decor if you wish to stand out from the crowd!